Remember how good the cookies are at Christmas time. Well have that flavor of all those great cookies in our Christmas cookie flavored coffee. Wouldn't your co-workers enjoy a cup too! 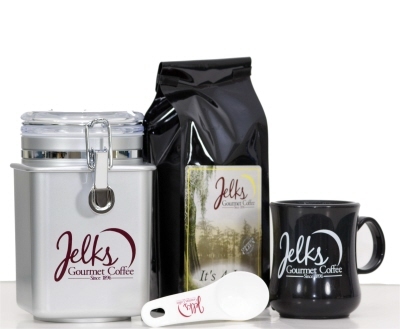 Christmas Cookie flavored coffee is available in 2 oz, 12 oz and the money saving 5 lb bulk coffee bags. Christmas Cookie flavored coffee is a buttery, nutty, caramel type flavor with rum notes.